June 30th, 2013 is the day Egyptians decided to act on their Rebel campaign threats. Millions of Egyptians took to the streets of Cairo and many other cities in Egypt to protest against the Muslim Brotherhood ruling and against president Mohamed Morsi. Walking among the protesters on that day, and overhearing their concerns and disapproval of how Morsi was running the country, gave me hope that change was about to happen. A year later, Morsi's regime has ended, but Egyptians' problems and concerns have not been solved. They are still having gas and electric shortages, a bad economy, inflation, a corrupt government and the garbage issue that is always staring them in the face. The only difference now is that Egyptians have another president with a regime that won’t allow their citizens freedom of speech, or freedom to protest or complain. So far the Sisi regime is doing a great job of handing out mass sentences to activists and journalists, and of course death sentences to all Muslim Brotherhood supporters and leaders, regardless to their age or affiliations. The same problems in Egypt that were the main reasons behind the ousting of Mubarak and Morsi still exist for Sisi to deal with. These issues won’t just go away simply because a new president was elected, no matter how you feel about his election. Egypt's problems won’t go away just because of who is in charge. They are big issues and they need the whole country to come together to face these issues, with a very smart leader to lead. People in Egypt, like people in other countries, want to think that an election is the solution. But although an election is a good way to elect smart leaders who could find ways to solve social and economic issues, no issues will just disappear upon electing one person. The revolution that started in January of 2011, and the second one in June of 2013, only helped us to remove leaders, not the underlying military regime that has been in power all along. The corrupt regime that Nasser, Sadat and Mubarak helped to build and nourish is what we need to change, and what we need to overcome. We won’t be able to get rid of the corruption without raising awareness and giving everyone a good education, for old and new generations alike. We need a modern education to help us to listen and respect each other's views, and teach us to voice our opinions in a such a way that we all get heard and acknowledged. We also need to create a political system that works for us; not copy other people. We need human rights laws and freedom of speech. We need to learn to be selfless and take care of each other, and above all take care of our country and love it. The question is, when Sisi's government fails to fix Egypt's real problems, will the Egyptian people be able to take to the streets again to protest against the failure of Sisi’s regime, or will military rule prevent that from happening? You can say many things about Egyptian politics but calling it unpredictable isn’t one of them. Since the first time we had so called democratic and free elections, we always knew who would win, and the 2014 presidential election is no different. Many Egyptians can’t help feeling like one candidate is the winner this year and that feeling is not new at all. In the Egyptian presidential election of 2012, after our amazing revolution in 2011, we were rushed into an election that forced us to vote for the Muslim Brotherhood puppet “Mohamed Morsi”. Morsi’s campaign was like a flood that swept Egypt; banners covering buildings, posters everywhere, and he was on TV more than any of his opponents. Morsi’s image was blasted all over the place, and Egyptians were sold on the change he would bring to Egypt. Little did we know it was more of the same. This time around we have two candidates, but you hardly can see anyone else next to the former army chief Abdel Fattah al-Sisi. Like Morsi, his images are on the buildings, his banners are in the streets, and he is all over the TV. We’re seeing Sisi giving interviews all over, but Sisi’s rival, leftist candidate Hamdeen Sabahi, is hardly visible. With headlines like “Sisi Set for a Landslide Win After Egypt Presidential Election Ends,“ and another headline reading, “ A Landslide Victory for Ex-Army Chief Abdel-Fattah el-Sissi is widely expected” leading into the election, it is obvious who everyone believes is going to win. 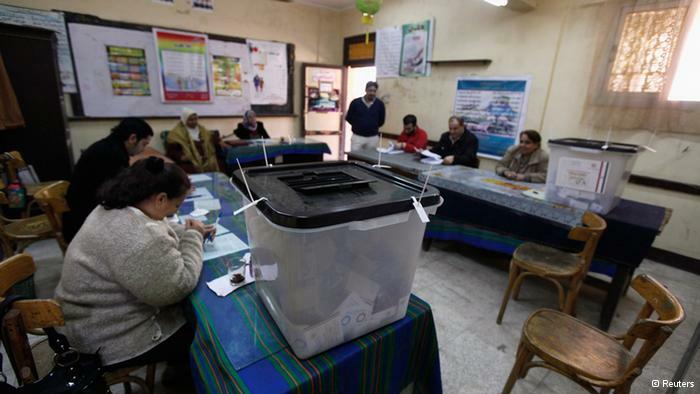 Many Egyptians are not participating in this election because they feel it is not a fair nor democratic election. But people are not allowed to voice their disagreement with the way this election has been run. Furthermore they are not allowed to protest peacefully in the street. The new anti-demonstration law that was passed this year by the acting interim president left many people in jail awaiting trials, and scared the rest of the Egyptians from protesting. 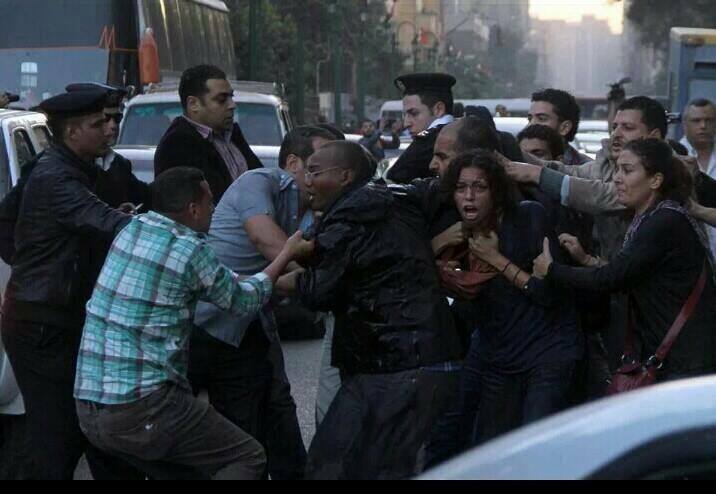 The overwhelming sentiment is: if you don’t vote for Sisi you are a traitor and you are against the army. With an atmosphere like that, people can’t help but to reman in silence. Activists are pressured to keep their opinions to themselves. Away from all the campaign and election fuss, many poor people in Egypt don’t care one way or another. After a few years of chaos and clashes, the poor people are still suffering and their situation hasn’t improved, but rather declined. Over a quarter of Egyptians live under the poverty line. Whoever wins the election, to many people it won’t change much. Knowing who will win an election before it happens takes all its legitimacy away, and makes it far from a democratic process. For now we are jus worried that Sisi will set Egypt back to an old repressive regime that Egyptians are very familiar with when he wins, which, of course, he will. The Egyptian presidential election this time is between former army chief Abdel-Fattah El-Sisi and longtime Nasserist politician Hamdeen Sabahi, who finished third in Egypt's 2012 presidential poll. Egyptians living overseas started lining up to vote in the presidential election, but many are boycotting the presidential election altogether. I’m one of these people. The decision to boycott the presidential election very much depends on whom you ask. People from the Muslim Brotherhood who support Morsi believe that his ousting was a coup, and they still believe that Morsi is the president of Egypt. On the other hand most activists don't see that the election is going to change much in Egyptian politics. 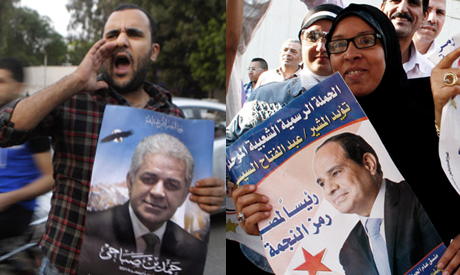 It is just an election like other elections we have had since the removal of Mubarak in 2011. This election is designed to give control to another ex-military man who believes that freedom of speech is not necessary right now, and it might hurt the country. However I boycott the election because I don’t see any sign of change. I also think that this election is forcing every Egyptian to choose between the bad and the worst; by the worst I mean former army chief Abdel-Fattah El-Sisi. I know that sometimes you don’t get what you want, but we have been getting the bad end of the bargain all the time. Therefore we have to demand change and we have to get our voices heard. People didn’t sacrificed their lives during the uprising so former army chief Abdel-Fattah El-Sisi could become the president of Egypt. They lost their life seeking change and democracy. However we are too far away from that goal. Abdel Fattah El-Sisi for President? With a high approval rating, many Egyptians think that Abdel Fattah El-Sisi is the answer to all the country’s problems. and they saying that he is the hero God sent to make everything right again -- until he opened his mouth during an interview, which was aired in two parts, on a private Egyptian channel. The TV interview with sisi last week revealed an out of touch military man with has no answers or understanding of how bad things are in Egypt. It also showed that he is not prepared to be the leader everyone desperately wants him to be. His answer to a debilitating economy and high unemployment is to create trucks out of thin air and hand them over to young men to use as mobile vegetable shops. When he was asked where the trucks are coming from, Sisi said "don't worry they will be here if I say so" with the attitude of a high school bully. When Siai was pressed to further explain his solution to the unemployment issue, he mention something about telling the banks to buy the trucks and then the drivers would be responsible for repaying the loans when they started making money. It was clear that he had been put on the spot, He didn’t have prepared answers. However these questions should have been thought of before he ever agreed to be on the interview. Mind you that these questions are on mind of everyone in Egypt: What are you going to do about the economy? How can you solve the unemployment problems? education? corruptions? all of this are questions that need to be answered by someone who is running for president. Sisi also promised that he will eliminate the Muslim Brotherhood from the political stage in Egypt. His language insinuated that he is going to remove them by any means necessary. Now Egypt is faced with an unqualified front runner for president. He is a military man who thinks that he can create things out of thin air, and eliminate his opponents by any means necessary. Unfortunately Sisi will win and the struggle will continue to find someone better to lead Egypt out of the dark ages. Many people think the idea of Abdelfattah El Sisi running for president is a great idea, and that it might bring the stability and security that Egypt needs right now. Among the supporters of Sisi running for president is Omer Musa, who used to work for Mubarak's government, and many other Mubarak cronies. Why do they support Sisi's canadcy? Because they are used to the system of corruption from Mubarak's era and they hope that it might come back if Sisi becomes the president. I think that having another military man running the country is a huge step back. Not only would Sisi follow in the footsteps of Nasser, Sadat, and Mubarak, his retaliation will go a lot farther than detaining activists, or locking up the Muslim Brotherhood. He will have nothing to stop him from keeping the whole country in a state of submission. Despite the the history of military violence against the protesters and the Muslim Brotherhood right after removing first Mubarak and Morsi, I have been hearing many talk on Egyptian and international media about the possibility of Sisi running as a presidential candidate in 2014. Not only has his candidacy been occupying people's minds, it is also a hot topic among activists who have experienced the rule of the Supreme Council of the Armed Forces “SCAF” in 2011 to 2012, which resulted many deaths and detentions for activists. The idea of Sisi running is unpopular among activists because it means that all their hard work, and the people who died since the initial revolution, will have been for nothing. Everyone understands that if Sisi runs he will become the president no matter who is running against him. 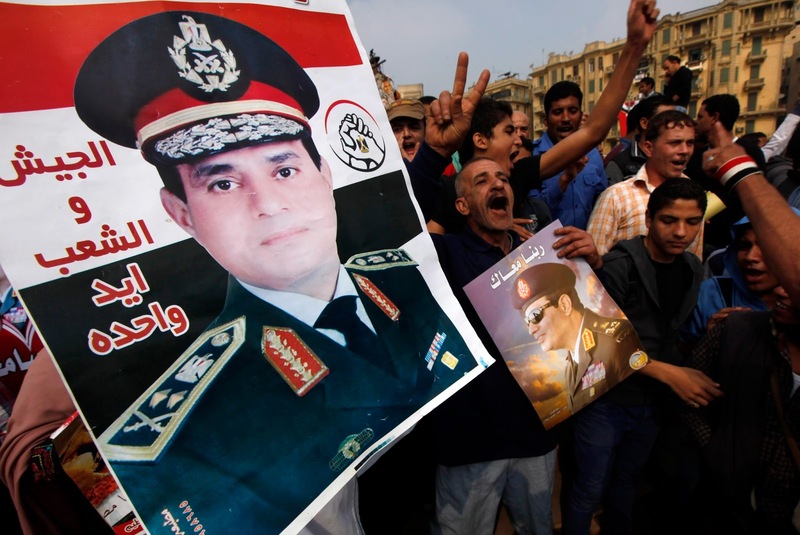 Sisi’s winning will mean one thing; that he will have absolute power. Really think about it. The military already has control over the economy and the weapons. After removing Morsi, the military provided Egypt with better security than they had experienced since Mubarak, or during Morsi's one year presidency. Sisi captured most if not all Muslim Brotherhood heads, after giving them a chance to show their true skin by inciting violence and protesting endlessly until Egyptians were sick and tired of the Muslim Brotherhood and their sore loser strategies. On the other hand, I don’t think that the military was behind the lake of the security during Morsi's presidency. But they witnessed it and didn’t do anything to stop it. Which makes it obvious that the military's strategy for allowing the rule of the Muslim Brotherhood was to let them fail, and turn the public opinion against them. I’m not saying that the Muslim Brotherhood would have succeeded if there were security in place, but it would have made it harder to get rid of them. The reason why I think that Muslim Brotherhood would have failed anyway is that they had no vision. All that Morsi and the supreme leader of Muslim Brotherhood wanted was to have greater control of Egypt, and to install Muslim Brotherhood members in the government to replace the representatives of the Mubarak regime. They had complete disregard to the people needs. Not only did the Muslim Brotherhood have no vision to rule the country, but they allowed the fact that they were the winners of two elections consecutively to cloud their judgment, so they turned a blind eye to the people who elected them in the first place. I’m glad they are gone, and no longer ruling Egypt. And I’m specifically happy that what they did during the time of Morsi may have ruined their chances of ever being elected again. However now Egypt has to face the harsh reality that there's nobody worth voting for when it comes to President. Egyptians are longing for someone like Nasser to come and rule the country, and rally people around him. Unfortunately we don’t have such a person. On Monday Sisi met with a group of representatives from Congress, and I have to wonder why. I do think Sisi might be smarter than the average military leader, but I still think it will be the worst thing for him and the country if he runs for president. The 2012 constitution, that was passed during Morsi's presidency, was suspended after Morsi's removal on July third. It was widely criticized by secular political figures and activists alike for being shaped to the islamist view, and rushed. Despite its unpopularity the final text passed a referendum in December 2012. Egypt is yet again facing another referendum on a new constitution; the second since the removal of Mubarak. A year ago Morsi pushed forward a vote on his Muslim Brotherhood version of the constitution, and now there's an attempt to push forward the military version. Not only are the interim president and many of Mubarak's friends behind this constitution, but also the military is backing this constitution, and working hard to crack down on any protest against it. Although Morsi's supporters are not the only ones unhappy with this constitution, they are the only people who are boycotting it and protesting against it on the street, creating scenes of instability and chaos. Egyptian activists believe that the new constitution has many improvements when it come to freedom, but still it is far from perfect. Where Morsi’s constitution fell short on basic freedom, the 2013 version seems to push for freedoms and holding Egypt to its obligations under international human rights treaties, but may apply more restriction on labor rights. According to human rights activists, freedom of expression seems well-addressed in the amended document, however many fear that the loose definition could lead to possible limitation in future laws. Many political and economic experts argue about whether the draft constitution will help meet revolutionaries' demands for greater social justice. On the positive side, the new constitution may offer a true chance at social justice for Egyptians, especially farmers and workers. There is also good news for Education and Health Care research. For example the 18, 19, 21 and 23 articles require that the state give a specific percentage to Education and Health from the Gross National Product (GNP). The 2012 constitution, which was drafted under the presidency of Morsi, required the state only to allocate “an adequate amount" for these items from the state budget. Despite the pros and cons for the new constitution, there is huge media coverage and a push for getting people to vote yes. A friend of mine counted over 60 billboards and posters in neighborhoods in Cairo alone encouraging people to vote yes. On the other hand, the Muslim Brotherhood has been instigating violence all over Egypt, and many people were killed or arrested as a result of clashes with the security forces on the first day of voting. Living in Cairo for over six months in 2013 not only allowed me to work on my films, but also freed me to spend some time on my favorite thing in the world, which is making photos. On the other hand, staying longer this time around gave me more opportunities to make new friends who work in Egypt's tourist industry, who showed me an amazing side of Egypt which I didn’t know much about. One of the places we visited was the Wekalet El-Ghouri, where the Tannoura live show takes place every week on Wednesday and Friday night. Going to see Tannoura live in Cairo was an eye opening insight on a folk art tradition that is still alive and strong today. If you haven't heard of Tannoura, it is a folk dance tradition with its roots in ancient Sufi twirling, featuring colorful costumes and amazing music. 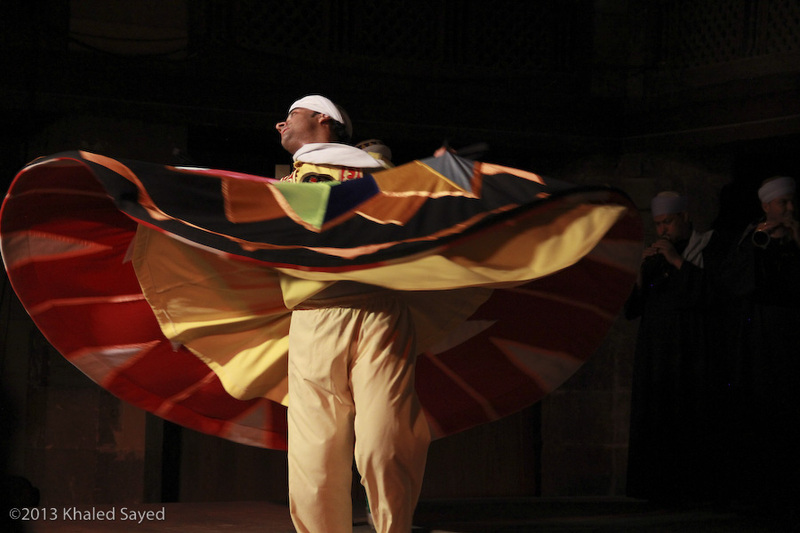 To quote from the website of the Tannoura troupe: "As the major Tanoura dancer moves himself around, the other dancers start to follow in his dancing steps by whirling around him in a great harmony, in order to act out the movement of the planets on space around the sun. Their anti-clockwise movement is a symbol of the movement that the Muslims usually do around ‘The Kaaba’ (the holy shrine in Mecca) during the Pilgrimage." The show was amazing and very inspiring, so I decided to make a book out of the photography I did during the show, and I would like to share that with you. I hope the carefully curated photographs and selected verses from Rumi I've included will inspire you. Please check out my book, and leave me a comment. I would like to hear your feedback. Thank you for buying a copy, and supporting my art. 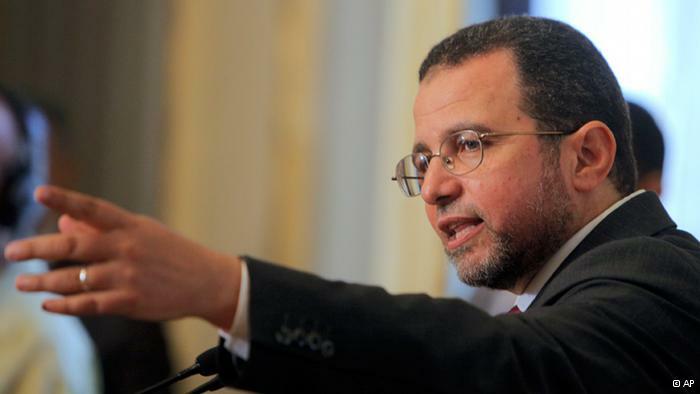 Authorities in Egypt have arrested the ousted President Morsi’s Prime Minister, Hisham Kandil. Kandil was caught in the southeast mountain area with smugglers while he was trying to cross the border to Sudan. His arrest came as no surprise since the Egyptian authorities have been hunting down all prominent members of the Muslim Brotherhood and Morsi’s cabinet. I have been asked time and time again about what is going on in Egypt since I spent six month there this year. Unfortunately my explanation sounds more like fiction, but it seems very obvious to me. The Muslim brotherhood, who lived in the shadows for years, came out of hiding after the initial revolution that removed Mubarak in 2011. It was a great opportunity for them to replace Mubarak and capitalize on the revolution. The reason why the Egyptian Military and secret services have been very successful in capturing Brotherhood members is because the Brotherhood felt very comfortable after Mubarak’s fall. After all, the Brotherhood went through a parliamentary election and won 60% of the seats in 2011, and followed that by nominating an unknown person, Morsi, for the presidency. Getting Morsi a majority of the popular vote must have been a very comforting ego boost to the Brotherhood. With all the winning in 2011 and 2012, the Brotherhood must have felt as if they were free at last, after 60 years of hiding. The Muslim Brotherhood had attracted more people by proving themselves legitimate after winning a majority and installing Morsi as the president. In 2013 the Muslim Brotherhood were unstoppable. They became the mainstream, and gained street credibility. However they underestimated the Military, who were watching and quietly doing what they do best; creating a list of all the Muslim Brotherhood members. So when the military answered the people’s call for removing Morsi on July third, they were also ready to dismantle the Brotherhood soon after. So If you want to know what is going on in Egypt, keep an eye on the military, because they are the ones with the guns, and they have the most to gain or lose if the economy goes bust. When you hear that the authorities arrested another Brotherhood member, it shouldn’t be a surprise. It is a round-up that the military is doing to secure the country, but mostly to secure their interests and stay relevant. The new anti-protest law backlash is giving pro-Morsi protesters a reason to start taking to the street again, this time in universities all over Egypt. In recent weeks in the light of new anti protest law, many activists have called for a demonstration to express their discontent with the new law. Twenty-seven women and men who took part in a demonstration outside the upper house of parliament were arrested. They were later released in the middle of the desert outside Cairo. These protests are not against the government per-se: they are against the new law. On the other hand, there are opportunists who are against the government and want to re-install the ousted Islamist president Morsi. 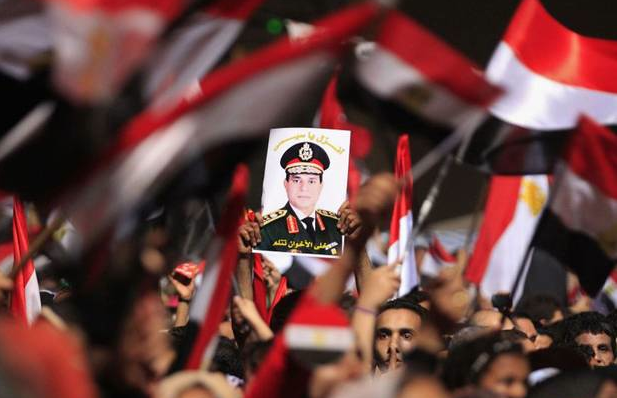 These are mostly Egyptians who oppose the interim government backed by army chief General Abdel Fattah al-Sisi. They identify themselves by carrying banners that say, “Sisi is a murderer,” or they display a symbol of four fingers, which was adopted by Morsi’s Muslim Brotherhood supporters after July, 2013. These are the major players on the protest stage right now; one side calling for freedom from government regulations, and the other side is calling for Morsi to return to the presidency. 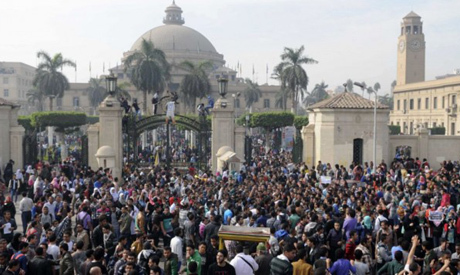 In hopes of finding a new audience to their cause, the pro-Morsi have been protesting in universities all over Egypt. In November the cabinet issued a decision allowing police to enter university campuses without prior permission if facilities or students were under threat. Previously, police had been banned from campuses unless specifically invited by university authorities. If this law passes we will have both groups fighting each other in the street and at universities. This would make the situation more confusing and it will be interesting to see what would happen next. If you thought the Egyptian revolution has changed anything about Egyptian politics, you are sorely mistaken. 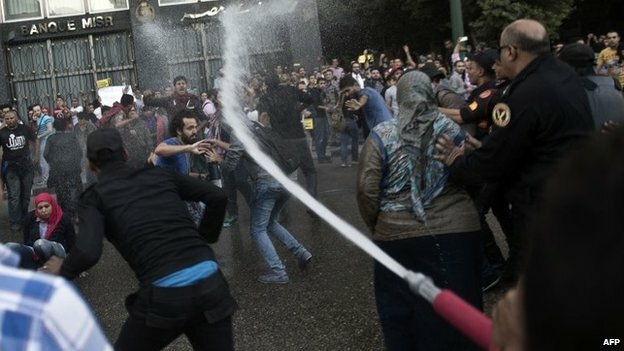 Prosecutors have been ordering arrests of prominent Egyptian activists who were protesting outside of the high court in response to the new demonstration law. 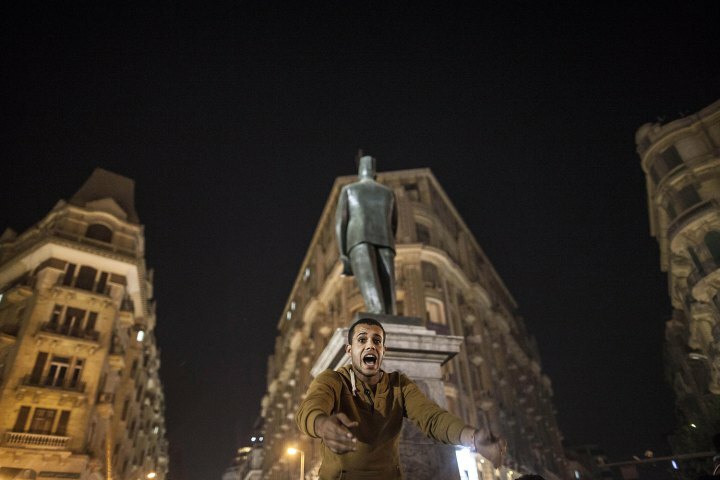 The new law, which was signed by the interim president Adly Mansour, bans street protests. 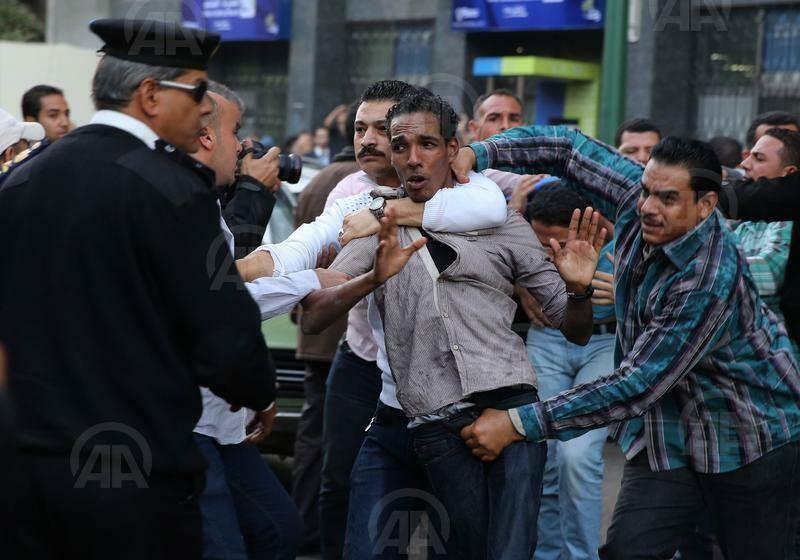 Under the new law, Egyptian police are allowed to use force to disperse demonstrators. In addition captured demonstrators could be sentenced to prison for as long as seven years for the use of violence at a protest, one year for covering their faces during a protest, or one year for protesting outside a place of worship. Furthermore, anyone attending an unauthorised protest can be fined up to $1,500. The new law targets public gatherings of ten people or more without government approval. In order to avoid imprisonment or a fine, you should notify the authorities that you will be protesting three days before the protest takes place. After arresting 15 women and 12 men who took part in the demonstration outside the upper house of parliament, they were released in the middle of the night on a desert road about 6 miles south of Cairo. Whoever crafted that law obviously knows very little about Egyptians. I have attended many protests in Egypt, and one thing I have noticed about the crowd is that it is a fierce crowd. They do not fear water cannons, tear gas, or even bullets. A law like this will not stop the people from taking to the street to protest. I believe that what the interim government is doing is paying much more attention to activists than the bad economy, the poor people, and the failing education system. The government is ignoring the main reasons why activists call for protests. These reasons have not changed since before the removal of Mubarak in 2011. The terrible living situation is due to the lack of security, the lack of employment for young people, and the inflation that is a burden on all Egyptians. These issues won’t go away without the Egyptian government actively fixing them, and listening to their people’s demands. There will be no need to demonstrate, or for a law against demonstrations, if the government does its job. The recent arrest and the new anti-demonstration law are tools to repress the Egyptian people, but that tactic didn’t work for either Hosni Mubarak who was removed in January, 2011, nor Mohamed Morsi who was removed in July, 2013, both by the will of the people. Article 73: Citizens have the right to hold general meetings, marches or protests, or any form of peaceful protest, without carrying any weapon and upon notifying the authorities of planned demonstrations in accordance with the law. Behind the Revolution ©2013 www.behindtherevolution.com . Simple theme. Theme images by sebastian-julian. Powered by Blogger.